UPBOY, a South Korean artist who is extremely good at making custom Nike sneakers, had a display at the Overwatch Fan Festival event in South Korea. Not only does each sneaker have a clean, custom paint job that matches each character, but some of them are meticulously crafted down to the last detail with extra bonuses, for example the various brand logos on the D.Va shoes, which also have a little keychain. The Overwatch Fan Festival is a pretty big deal – in fact, Jeff Kaplan, director of the game, flew out and premiered the recent D.Va animated short at the event. As awesome and extravagant as UPBOY’s custom sneaks are, they’re one part of what looks like a massive show. To get a real good look at the sneakers, UPBOY’s Instagram has several behind the scenes looks at them while still in progress, as well as videos highlighting the finished versions. During the event, Jeff Kaplan also announced a new mode added to Overwatch‘s arcade. It’s called Mystery Deathmatch, and sees players respawning as different heroes at random. Currently, the mode is available on the PC version’s PTR server, and will presumably be rolled out elsewhere soon. 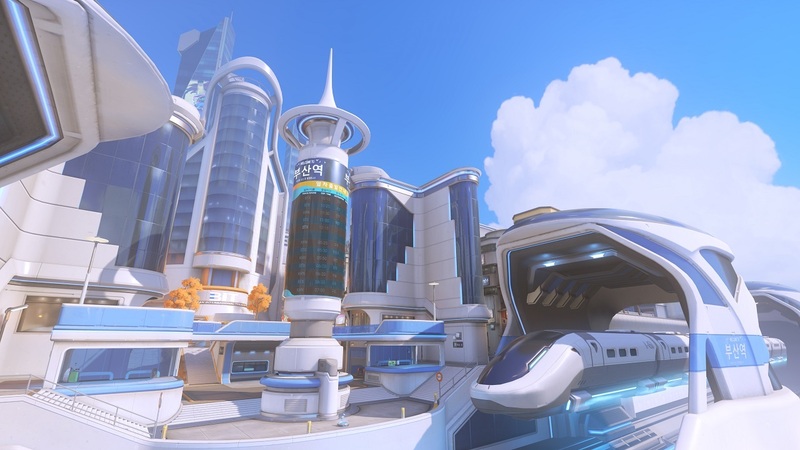 A new map based on Busan, South Korea was also added.